There are many reasons why giant breeds are surrendered, but it’s most upsetting when the reason is preventable. A few reasons include not knowing the breed traits or understanding the needs of their new dog. Giant breeds have much different needs than a small/medium sized dog. The AKC surveyed over 1,000 dog owners about their yearly spending on their dogs. 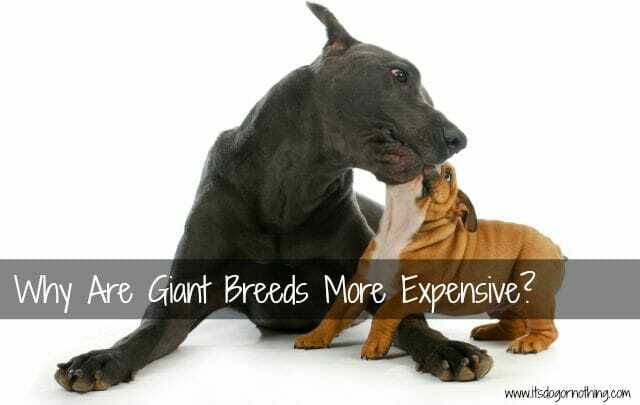 Giant breed owners stated they spend $3,321/year, while small and medium owners spend $1,831 and $2,628, respectively. Where does the extra spending come from? The most obvious answer is food. Bigger dogs need more food. While a small dog may only need one 20 lb bag every two to three months, a giant breed will easily power through a 30 pound bag each month. Does that really account for all the extra spending? The short answer – no. Giant breed means bigger and bigger means more expensive. Here are a few ways the cost of a giant breed can add up. *Note: These are averages based on research in my area. Also, I do not recommend the FURminator for pyrs. As you can see, a giant breed isn’t for everyone. Not only are bigger purchases (spay/neuter, crate) more expensive, but reoccurring purchases (toys, medications) are as well. I also remind people interested in a giant breed that “giant breed friendly” products are not always big enough! I can’t tell you how many times I’ve looked at extra large products that were far too small for my pups! While I don’t think cost should ever deter someone adding a dog to their family, it is an important thing to consider. That is quite a difference in expenses, but it makes sense. I’ve always had medium to large dogs. The difference between mine and my ex-husbands chihuahua is crazy. They’re much more affordable, but I prefer the large ones. The bigger the better! Thanks for sharing! I think cost should be considered, as the pet should have the care it needs. If the owner is unable to provide it, either the dog may not be able to live a good life, or may be surrendered. I had cocker spaniels all my life, a wonderfully portable, lovable, affordable breed. 9 yrs ago I adopted an English Setter, a wonderful, lovable girl. When time came to put her down, at 15, I could barely get her into my car(I am 70). I realized I’ll never be able to have a 45 lb dog again! I prefer the small dogs but cost was also a factor for us. Everything definitely costs less for the small pups. 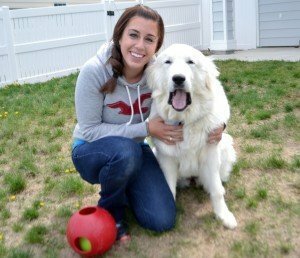 An acquaintance feeds all of her large/giant dogs pre-made raw… I don’t know how she does it! This is all so true and partly why I love having smaller dogs! My last two dogs were around 50lbs each and I notice a big difference with expenses for Ruby and Boca at 18 and 33lbs. I think a lot of people don’t realize that size impacts a lot of costs at the vet, such as anesthesia and of course medications. We factored all of that in when we adopted our girls. I knew that everything was more expensive for bigger dogs. Our last dogs were between 70-100lbs. It’s kind of depressing how expensive everything is, though even for smaller ones. Cost was definitely a factor when I picked the Dachshund breed. Having grown up always having 1-4 Mastiffs, I didn’t really want to added costs of another large or giant breed. I love them, but they’re no longer for me. 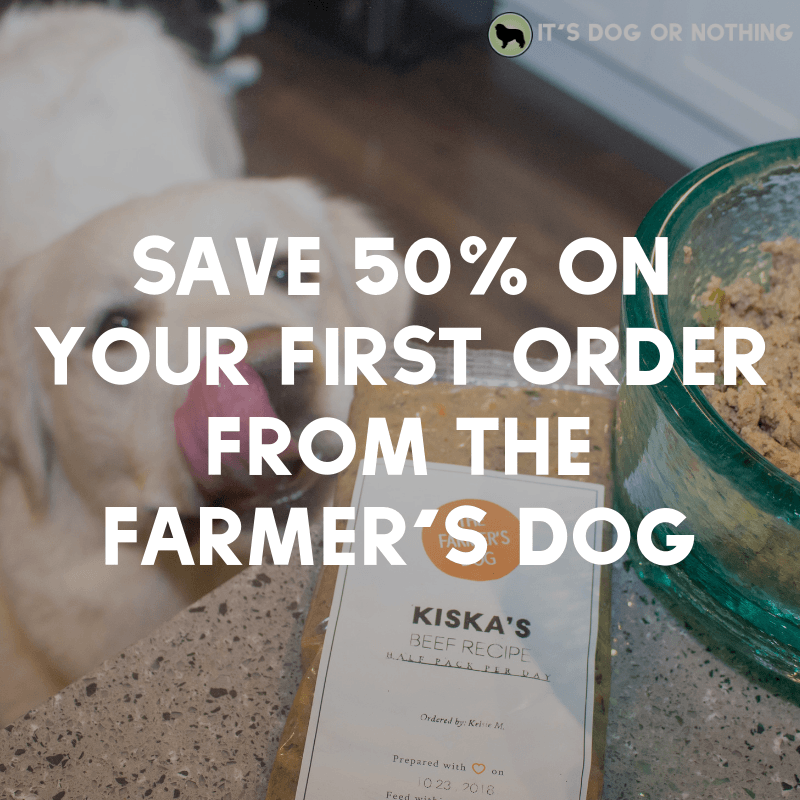 I like buying a 5lb bag of food and having it last 4-6 weeks for one dog, haha. Hmmmmm. We’ve never had giant breeds. That’s definitely a consideration! Even with the medium to large breeds there is a difference. We joke about costs and expenses with a friend who has a lab and even those are considerably more than we have for our shelties. She is harder on stuff, she eats more, and her stuff is bigger than and thus more expensive. Cost is a factor, but for us I like the breed and as long as we can afford it would prefer our medium shelties to a smaller, cheaper breed. As with all things education is key. While it is annoying, one of the most important questions breed rescues ask is if you are aware of the specific costs associated with the breed you are interested in because many people really have no clue about how much of an investment any dog is and then you add in specific costs associated with a preferred breed and they often aren’t prepared. We have a house full of small and large breeds to make things interesting. 🙂 If you want a proper over-lifetime comparison, though, small dogs generally live several years, sometimes many years, longer than large breeds (especially as some large breeds have serious genetic health issues — average lifespan for Irish wolfhounds or Bernese Mountain Dogs is only around 7 years, for example 😮 ) so in that sense costs likely would even out on average, not least as insurance stops paying for full costs of care as dogs get older (so many small dogs owners may have many years of vet bills to cover too with much larger deductibles). Also many small breeds are prone to genetic progressive health issues like heart murmurs which have significant monthly medication costs which can continue over many years. For least genetic illness risk, and overall health and moderate costs, probably a medium sized rescue mix breed (not a designer cross mix though! Health claims for those are dubious at best) is probably the best option! 🙂 I fully agree that many people get giant/large breeds with no idea of the care needed and costs involved. For us the biggest downside to giant breeds is… hair hair hair everywhere! 😀 But we love ’em all, small oldies on meds and giant breeds sending white tumbleweeds of hair everywhere. I know giant breeds are more expensive, but I wouldn’t trade them for anything. My first two dogs were a Mastiff mix and a Whippet mix. My current dogs are a Mastiff mix and a Staffie Bull mix. Sure the big guys cost more for food ands meds than their medium sized brothers, but you just can’t beat the love of a gentle giant. One of my dog walking clients has 2 Great Danes, and converted her entire garage into the air-conditioned space where the equivalent of smaller dogs’ crates are located ~ you could board a few horses in there! She happily parks her cars out front! I would love to have giant breed at some point, but I know now isn’t the time. I need to save up a bit more and get a much larger living space. It breaks my heart when people don’t think this through. Recently I saw someone who I went to elementary school with post on Facebook that she was getting a St. Bernard puppy, but needed recommendations for cheap food because what the pup was currently eating was too expensive for them ): I really doubt she though through the decision to get a St. Bernard.